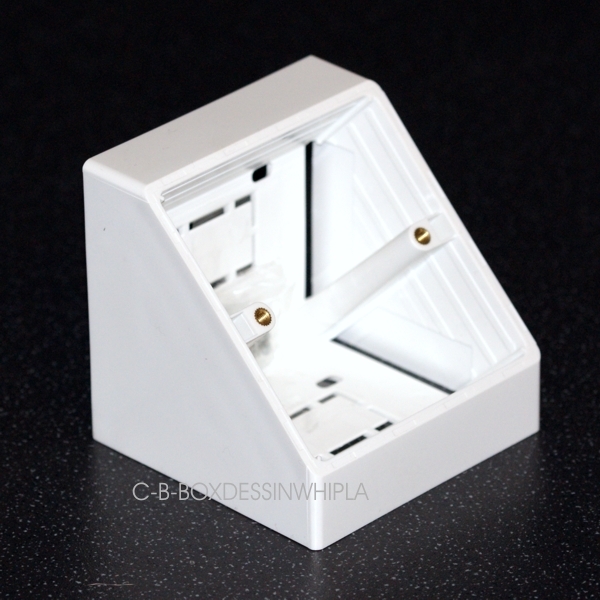 A single-gang, angled, surface mounted plastic box for use with our standard UK audio visual faceplates. Designed for desktop mounting against a wall, this unit positions faceplates at a 45 degree, angle for ease of access. Ideal for desktop, classroom, work bench environments. Manufactured in semi flexible ABS with knockouts to rear and bottom of unit. Also available in a double-gang angled back box version.